Google AdSense is a program run by Google Inc. that allows publishers in the Google Network of content sites to serve automatic text, image, video, and rich media adverts that are targeted to site content and audience. These adverts are administered, sorted, and maintained by Google, and they can generate revenue on either a per-click or per-impression basis. But with the increasing odd and stringent guidelines of Google, you will know that your Adsense account vanish one day. What are the alternatives of Google AdSense? Tell me AdSense alternatives for blogger and small websites? What are some creative alternatives to Google Adsense? 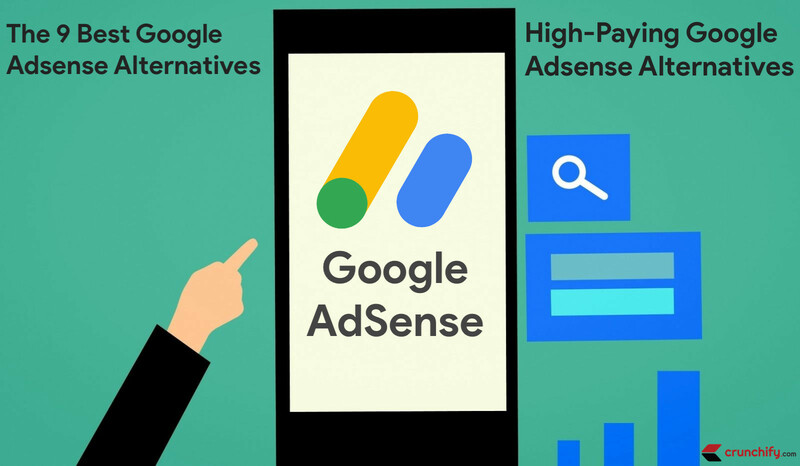 What are the best alternatives to Google Adsense which pay more? InfoLinks delivers highest click-through-rate in the industry, and to lead the market with innovative technologies that bring our advertisers the highest ROI and our publishers the highest earnings. You are paid in Infolinks on the basis of pay per click(PPC) of the ads and not on the impressions on the links. This might not guarantee you a relevant income and can take several months before you could actually see some revenue being generated into your account. Also there is threshold limit for payment but still you can use Infolinks with any other ad networks. BuySellsAds makes buying and selling ads incredibly easy. It also offers the most diverse set of monetization tools for publishers: display ads, RSS feed ads, sponsored tweets, image and text, text links, background takeovers, sponsored content and posts, email newsletter ads, and our most interesting tool — custom ads. Naturally, this leads to unique opportunities for our advertisers, all built into a seamless platform that makes executing ad buys easier than ever. On Crunchify, we have personally ran Komoona for some time and it has generated decent revenue during that time frame. Adversal drives traffic through native advertising. Adversal also supports Video and Display ads. On Crunchify, we have used Adversal also for some time in 2018, mainly Display ads. Over observation and revenue metrics were good during that time but sometimes we see slowness in loading ads but it’s rarely. We use Skimlinks on Crunchify for affiliate marketing. It generates nice outgoing links with simple browser extension. Also, Android Police uses Skimlinks for all Amazon and eBay outbound links. Ezoic is also a very popular Adsense alternative. I would highly recommend to give it a try. We did run some test with Ezoic and result were awesome. Ezoic is in our pipeline and we will run it on Crunchify in near future. Please stay tuned for more update on Ezoic. Amazon affiliate program is another great program to get revenue if your blog shows lots of e-commerce inventories. If you are selling physical goods then you it’s good choice to show Amazon inventory too along side your product listing. You earns 10% commission on each sell goes through your site. I personally never used Chitika and created account but heard a lot about it from my friends. Let me know if you want to share your experience with Crunchify readers. Another popular Native advertising platform. Sometime you see low quality ads on Revcontent. We personally never used it on Crunchify. Which Advertising solution am I using on Crunchify? On Crunchify, currently we are using on Google AdSense. Also, we post sponsored post which reaches millions of visitors everyday. With the latest AdSense improvements and number of Auto Ads option it’s working very well as of now. We constantly seek for new advertising options on Crunchify. Let me know if I missed your favorite Adsense Alternative or want to share your experience with other Ads providers. Great Information!! I have written an a detailed review too. Hi Sam – sorry to hear that. You may want to checkout article https://crunchify.com/clicked-on-your-own-adsense-ad-accidentally/. In which I have pasted Official Google Adsense Email. Did you get the same one? Is your Google Adsense Account unblocked now?